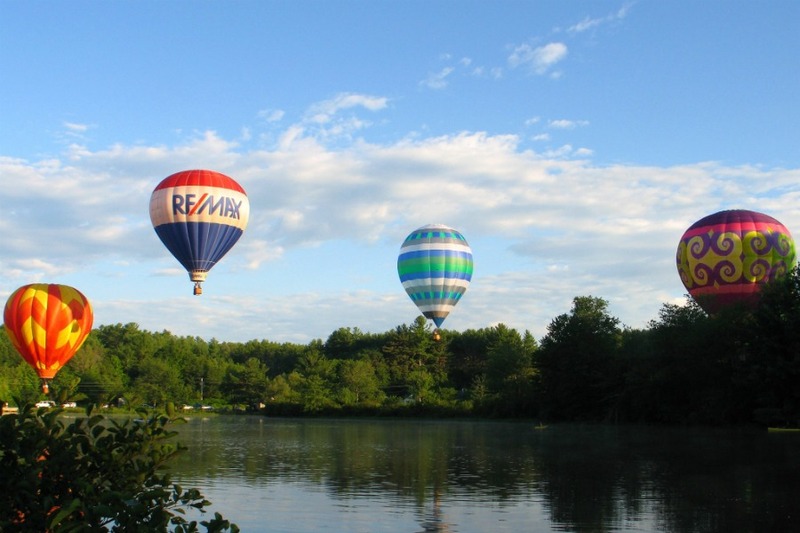 Prepare to have your eyes glued to the sky for this Pittsfield, NH, balloon rally. With balloons lifting off twice a day, plus helicopter rides, a fireworks show, and a night glow balloon display each night, there’s always a stunning sight to see. Give your neck a break from craning with a round of carnival rides, a few crafts, or the BMX bike race. August 3-5, Drake Field, 17 Fayette St., Pittsfield, New Hampshire, pittsfieldnh.gov. 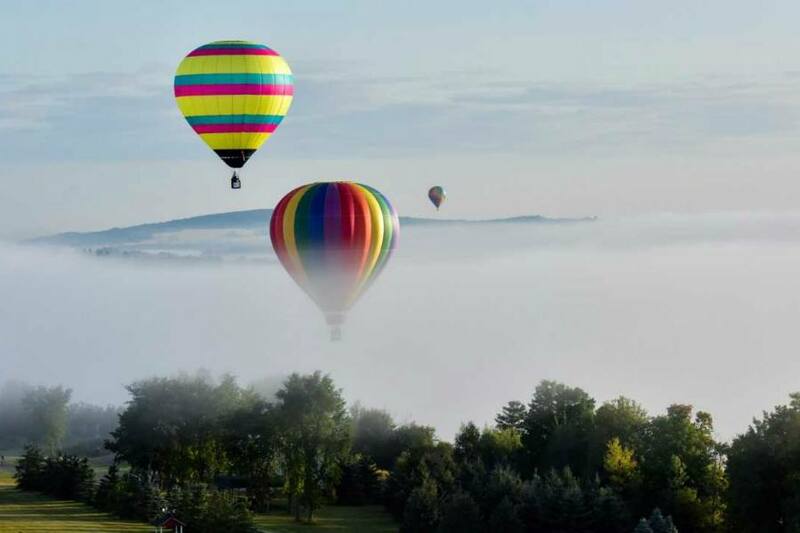 Start your day gliding over Maine in a hot air balloon at the crack of dawn, then touch down and spend the weekend enjoying food, dance, music, and more. Local performers will stay on the ground in the twin cities of Lewiston and Auburn while gorgeous balloons take off at dawn and dusk all weekend. Rides are free-flying—with no tethers and subject to the whim of the wind—and fill up fast. 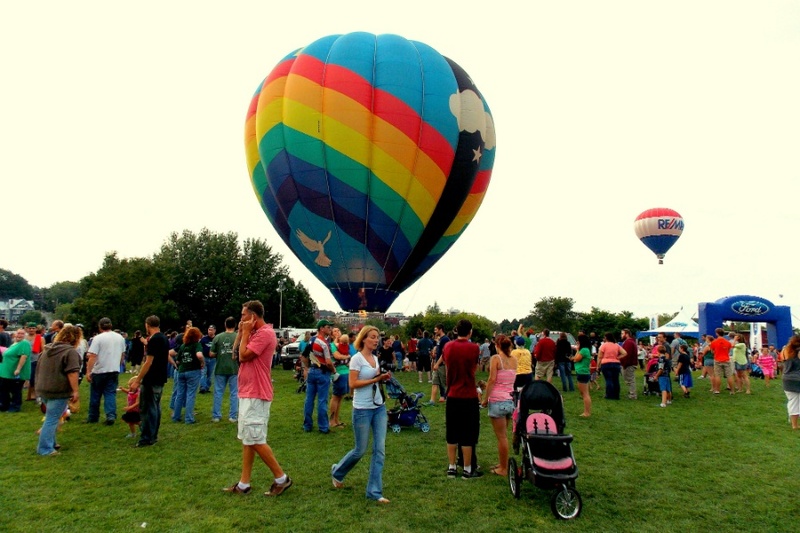 August 17-19, Lewiston/Auburn Riverfront, Maine, greatfallsballoonfestival.org. Balloons and blues go together like peanut butter and jelly at this festival in Hudson. Incredible views and rides are soundtracked by live blues bands at the family-friendly gathering. 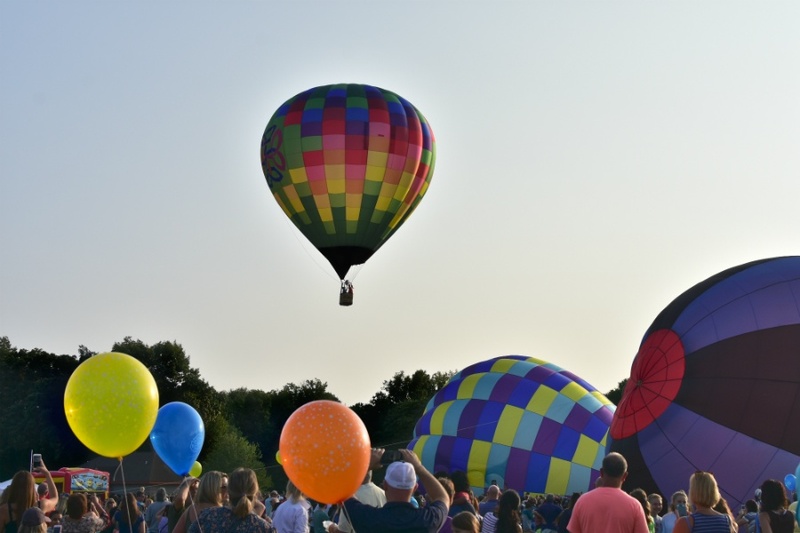 Most of the action happens Saturday, with a rotating performance schedule, a nighttime balloon glow, and the opportunity to meet and chat with the balloonists themselves. 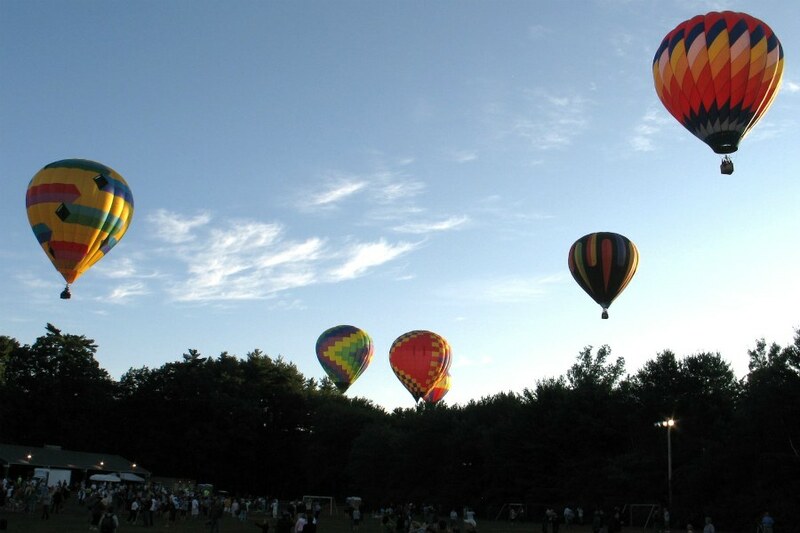 August 18-19, 99 Park St., Hudson, Massachusetts, hudsonelksballoonfestival.com. For the Crown of Maine’s 15th anniversary, 15 one-of-a-kind balloons will be flying over the Northern Maine fairgrounds. Grab a sunrise ride in one, or opt for a tethered ride if you’re less keen on floating hundreds of feet in the air in a wicker basket. Bring the kids to meet the pilots, take them to check out bouncy houses and slides at the Kids Karnival, and catch a free outdoor screening of Up. August 23-26, 84 Mechanic St., Presque Isle, Maine, crownofmaineballoonfest.org. Entrance is always free at this annual hot air balloon festival hosted by Plainville’s Fire Company. If you’re lucky, you may be able to snag a tethered ride with one of the balloonists; but if heights aren’t your favorite, come in the evening to watch the simultaneous balloon glow and fireworks show. August 24-26, Norton Park, 197 South Washington St., Plainville, Connecticut, plainvillefireco.com.